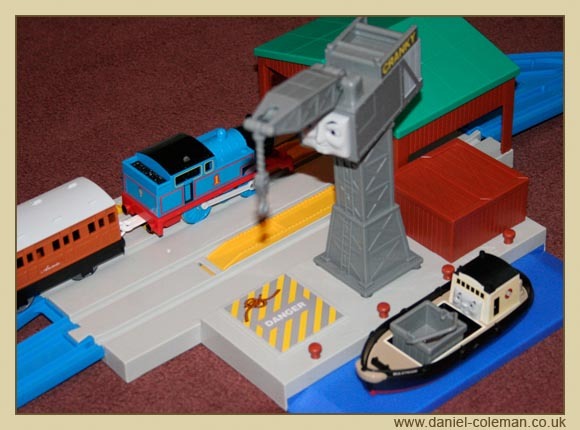 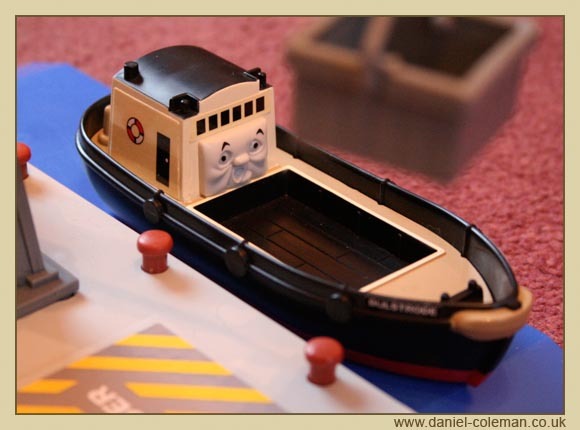 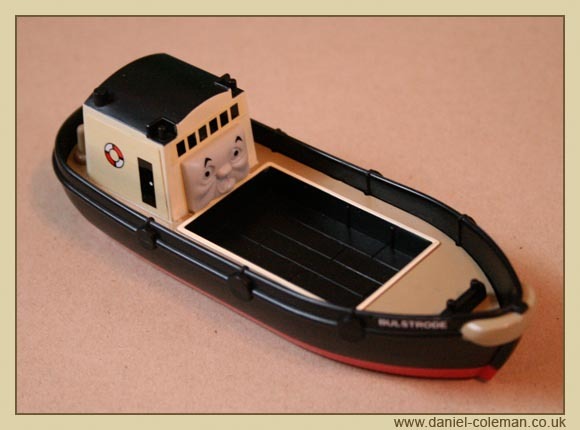 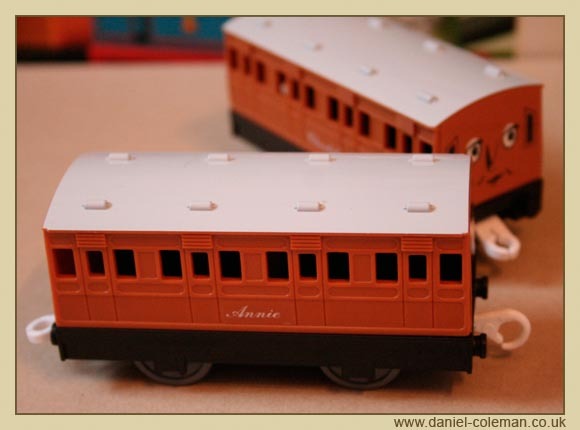 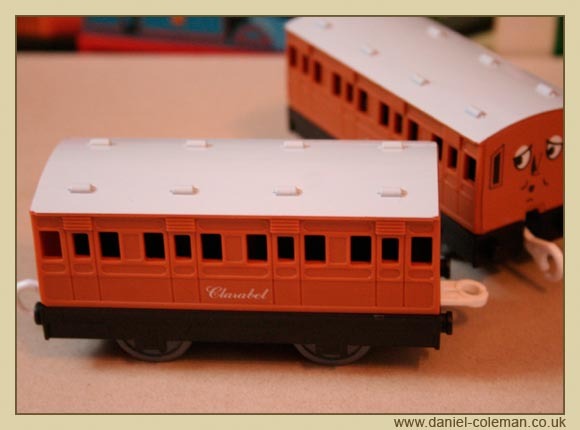 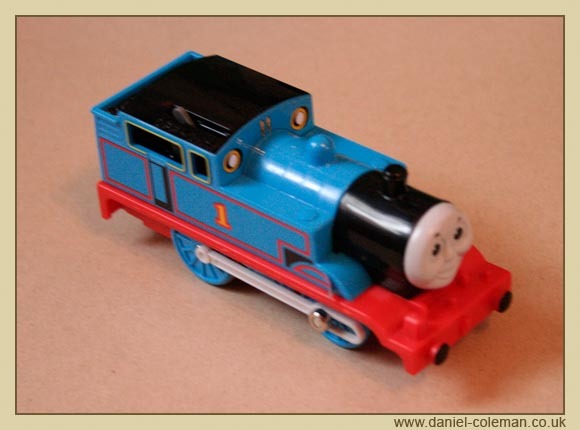 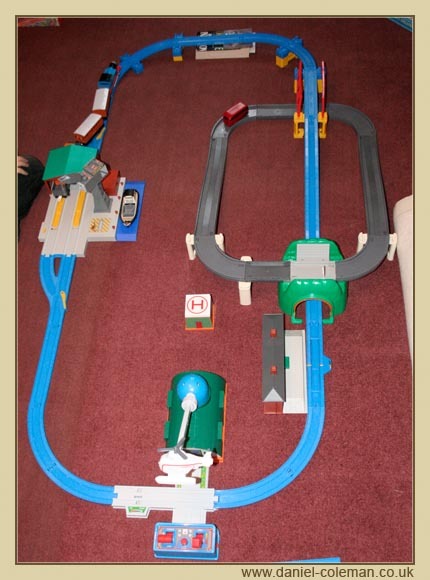 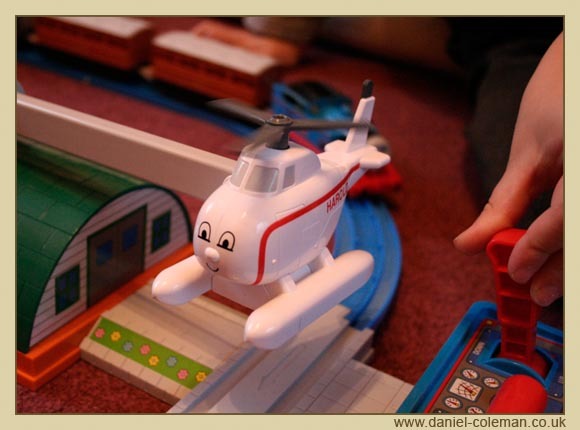 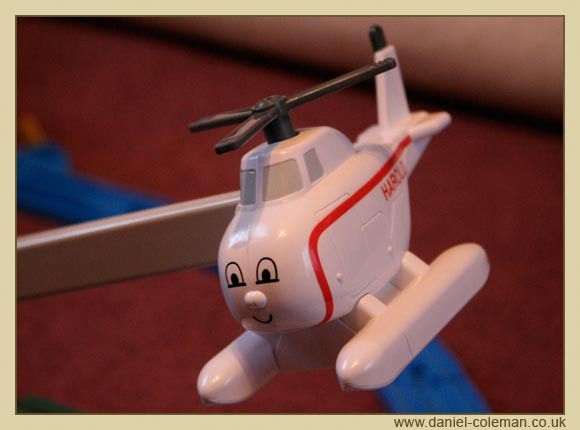 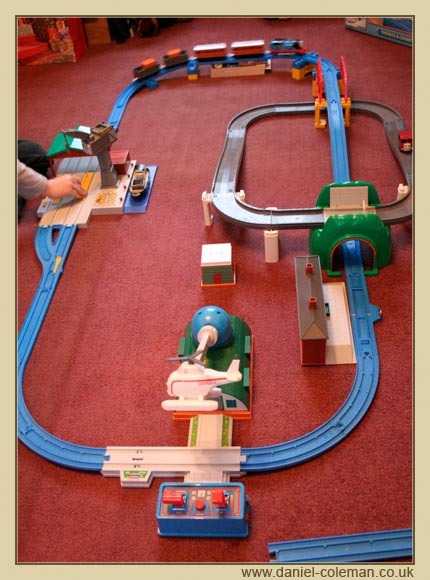 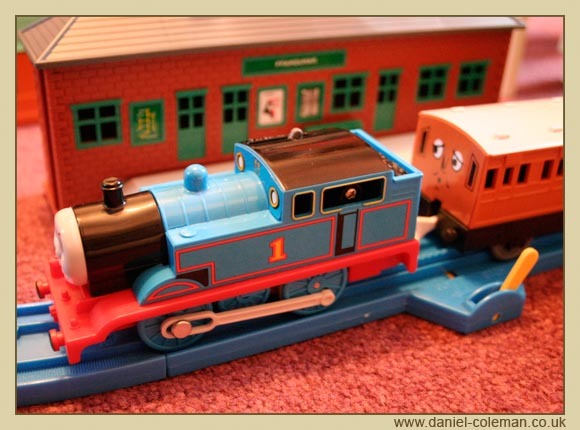 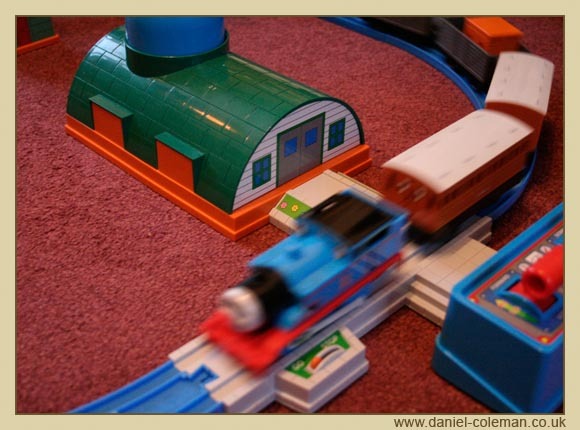 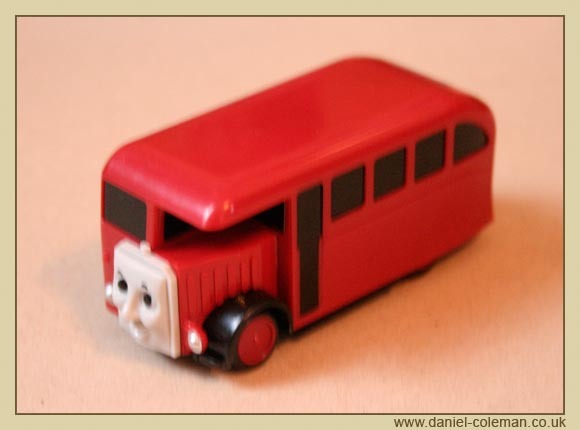 The large battery operated train set was acquired Oct 2005 and the Harold Helipad added in Dec 2005. 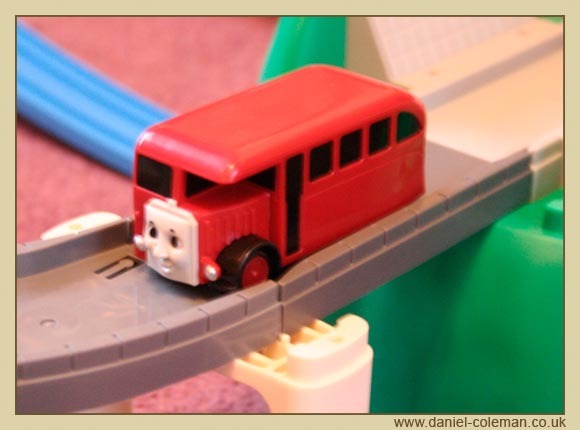 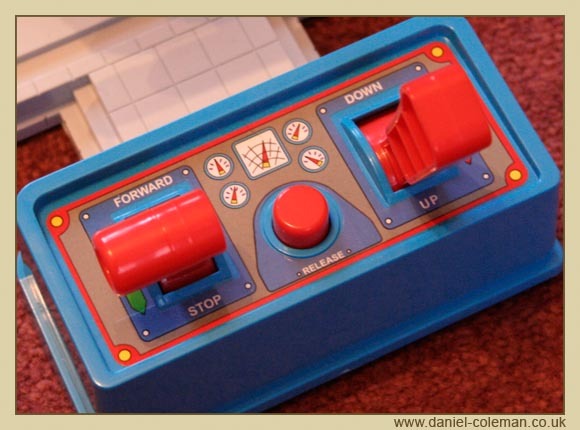 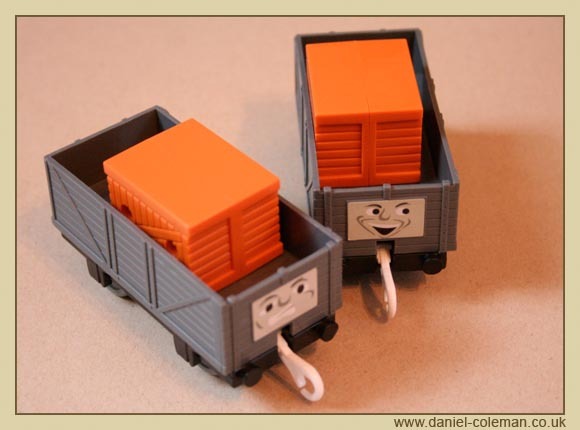 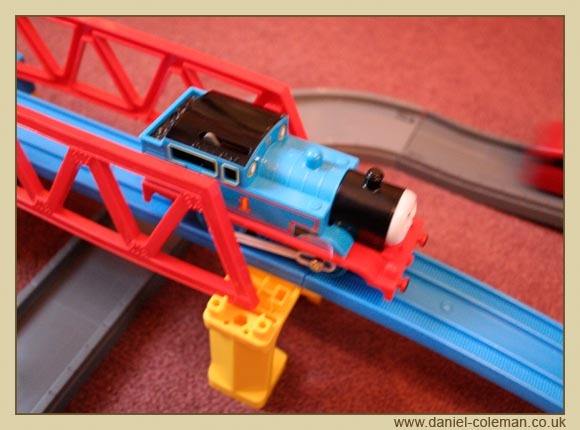 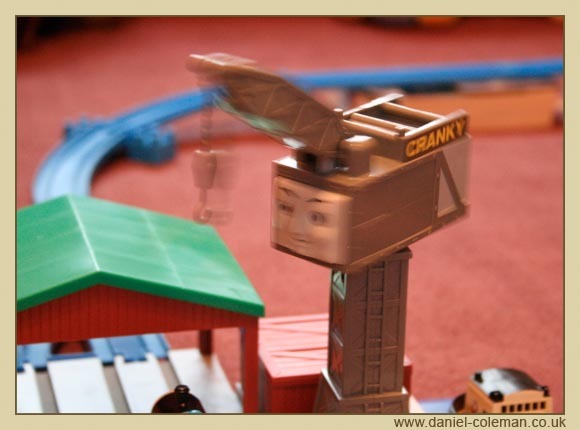 It had a fair amount of interactivity, with special sections of track to stop Thomas, and Cranky the crane would automatically move when a certain section of track was activated. 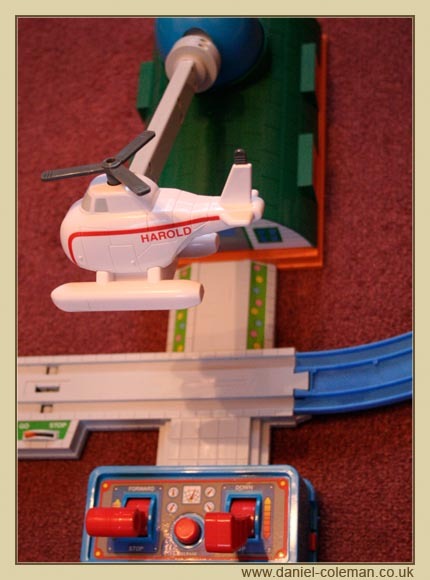 The Harold helipad required a little skill to operate in pick-up and drop off the electro magnetic operated crates.